Colonial Oaks Junior League 2019! 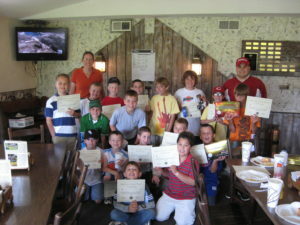 Who: Junior Golfers that are course ready ages 9 through 16. Where: Colonial Oaks Golf Club. When: Monday Mornings at 8:30 am. Description: Junior golfers will play each week and be able to keep their handicaps with IGA in the pro shop. Players will receive instruction then head to the course for a special event each week. After the event juniors may play unlimited golf on their own the rest of the day. Although players can be of any skill level, they should be “course ready” before joining the league.